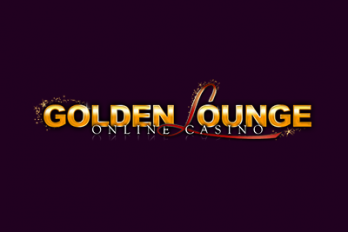 Golden Lounge Casino is a fantastically innovative online casino that sets out to bring Las Vegas to you, the player sitting at home enjoying the casino games. The casino is part of the universally accredited 32Red group, meaning that not only will players ensure maximum satisfaction while at the site, but also a reliable and safe gaming experience. The online casino is available on both desktop and mobile platforms and is powered by Microgaming, one of the largest providers in the casino industry. Being a Microgaming casino, Golden Lounge features over 500 online casino games including everything that you’d expect, including slots, roulette, blackjack as well as a range of other table games. To enjoy everything that Golden Lounge has to offer, it’s advised to download their software, which will give you unlimited access to their gaming portfolio. The casino does offer an instant-play (or flash) mode, however this is much more limited and not even close to as much fun as what is actually available on the site. In addition to the game selection being limited on the instant-play casino, players must ensure that they have the latest Adobe Flash Player installed, otherwise it will not work. Like 32Red Casino and others in the 32Red group, Golden Lounge is licensed by the Government of Gibraltar. As Golden Lounge is a Microgaming casino, there’s plenty to get excited about when it comes to the games available on the website and the downloadable software. By clicking on the “Casino Games” tab on their site, you’ll be able to view and access all their games. You can find blackjack, video slots, roulette, video poker, craps, keno and baccarat here, meaning that there’s plenty to choose from. Under each game title is a link to the downloadable software, so getting access isn’t far away. Once you access the games, you won’t be disappointed by what’s available. It’s hard to find a casino which features a more impressive slot selection than Golden Lounge. The largest category of games that they feature is video slots, with some of the most popular titles available, ensuring that players can win on some of the best games on the internet. On top of that there are also progressive jackpot slots available. A progressive jackpot increases in value each time the game is played, meaning that the payouts are huge when there is a winner. Some of these progressive slots include popular titles like Mega Moolah, Thunderstruck II and Immortal Romance. If that isn’t enough when it comes to slots, you can also try out some of the three-reeled classic slots that are provided on Golden Lounge Casino. It’s not all about slots though on Golden Lounge Casino, as there is plenty in the way of table games to enjoy. Blackjack enthusiasts will relish the opportunity to play at this online casino. There’s the simple, standard blackjack game to enjoy, but there are also plenty of variants if you want to try something new or add a bit of extra spice to your gambling gameplay. There’s a lot for roulette players to get excited about as well, with American, European and French versions all available on the downloadable software. All these table games are also available in Golden Lounge’s live casino, where players can compete and interact with a dealer from an actual casino. The video poker range is also one of the largest from any online casino. They have simple, less complex games like Jacks or Better and Deuces Wild to much more rare and exotic games like Jackpot Deuces and Supajax. New players are very well looked after at Golden Lounge Casino and there’s a superb welcome bonus on offer for those who sign up and join the website. Players receive a three-tiered welcome offer, with bonuses being offered on the first deposit, second deposit and third deposit. To receive the welcome bonus, all you have to do is download the software, open a real money account and then you’ll automatically receive your three bonuses. There’s much more than just a welcome bonus though as there are lots of others to get involved in. You can win daily bonuses with the Golden Lounge wheel, alongside freerolls and spins on the slot machines. If you become a regular player, then you can also become eligible for the VIP club, which has five tiers, with the size of bonuses varying on how many loyalty points that you win. Golden Lounge Casino offers a huge range of different payment methods, but for many players the most important thing is safety and security. The casino employs a state-of-the-art security SSL encryption code to make sure that all players personal data is kept confidential. Players can withdraw and deposit through standard payment methods like debit cards and credit cards, but Golden Casino also allow a range of e-wallets as payment options, including PayPal, NETELLER, Skrill and Entropay. Golden Lounge has a superb customer service team that always receives positive reviews. They have an online live chat feature that will put you in direct contact with a casino representative. Alternatively, you can contact a member of the support team using a telephone or by sending them an email.